Fast and easy ordering and shipping. These empty capsules are a blessing. 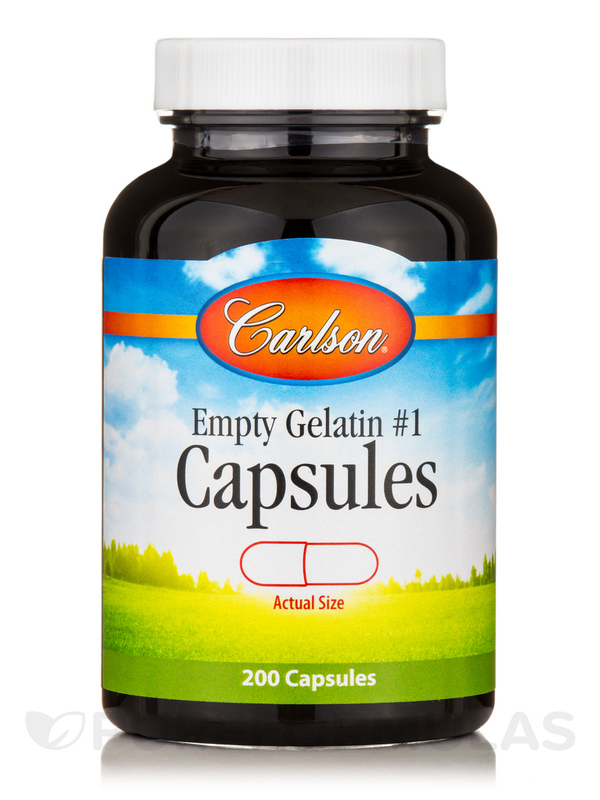 Each Carlson Medium-Small #1 Empty Gelatin Capsule is easy to pull apart and fill‚ and they come in a convenient screw-cap bottle--great for traveling or on-the-go lifestyles. Create your own special blend and desired potency. 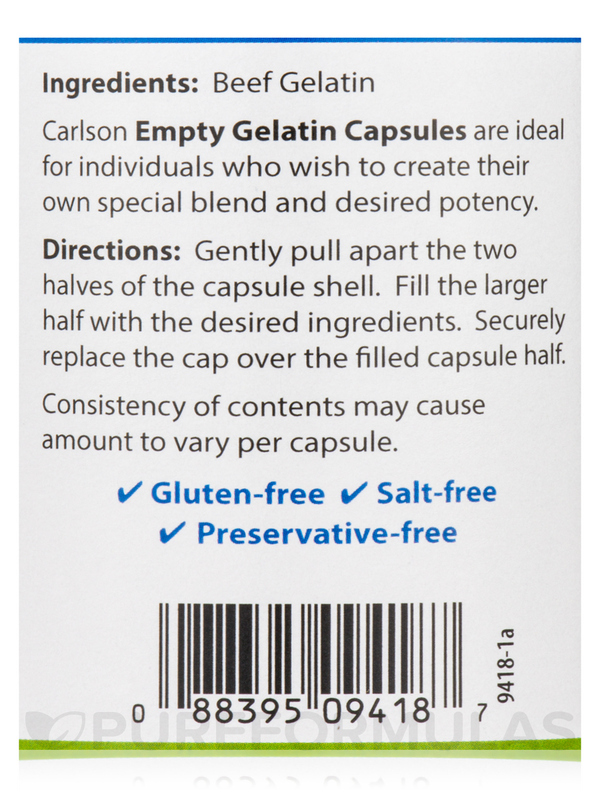 Gently pull apart the two halve of the capsule shell. Fill the larger half with the desired ingredients. 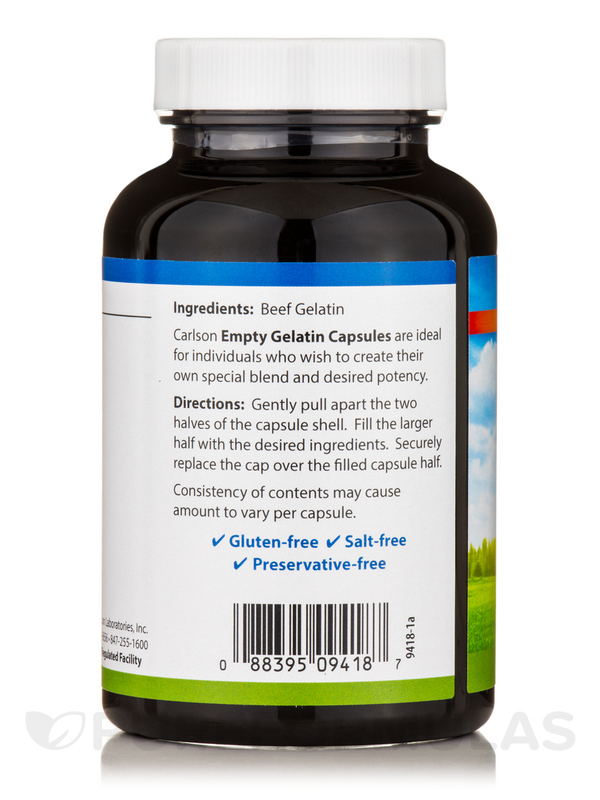 Securely replace the cap over the filled capsule half. The availability of the item as well as the ease of ordering. 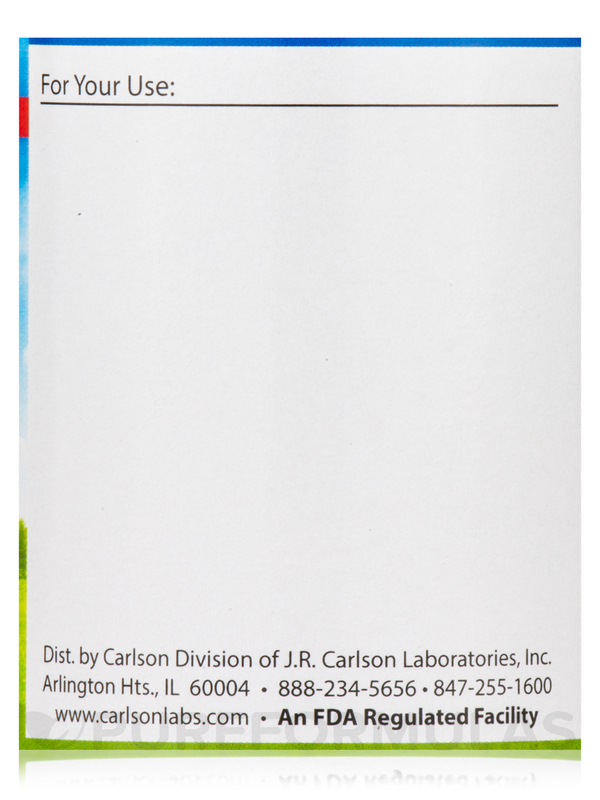 Med-Small #1 by Carlson Labs perfect for oil blends I take orally. 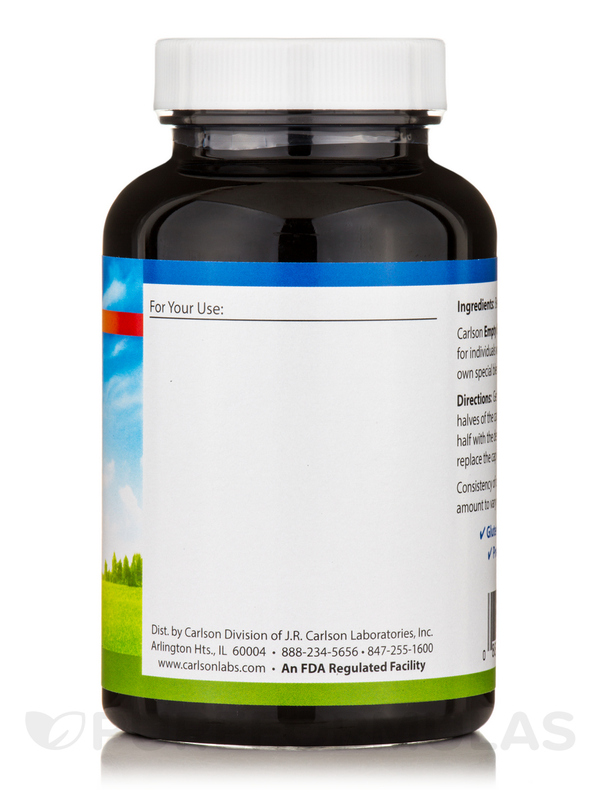 Hi Mary, Thank you for choosing Pureformulas.com, we do apologize but the only empty capsules we carry are recommended for powder use.